Provide comfort for the family of Edmond White with a meaningful gesture of sympathy. White, Edmond, age 73, departed this life on Sunday, April 7, 2019 while in AtlantiCare Regional Medical Center in Atlantic City. Born January 18, 1946 in Dillon, SC to the late Emerson and Janie Howard Miles White. Edmond attended Johnakin High School in Marion, SC. In his senior year he transferred to Latimer High School in Latta, SC graduating in 1964. After high school he moved to Virginia Beach, VA for a short time, later relocating to Philadelphia. In 1967 Edmond enlisted in the United States Marine Corps, serving until 1973 when he was honorably discharged. He served his country in Vietnam from 1967 until 1969. During his time of service he received several medals: The Combat Action Ribbon, Good Conduct Medal, Vietnam Service Medal with 1 Silver Star attached, A Meritorious Unit Commendation Ribbon, Navy Unit Commendation Ribbon, Republic of Vietnam Campaign Medal with 1960 device, and two separate Republic of Vietnam Meritorious Unit Citation Ribbon Bars. Until his passing he was a member of the Foreign Wars Post 220 State of New Jersey located in Mays Landing. 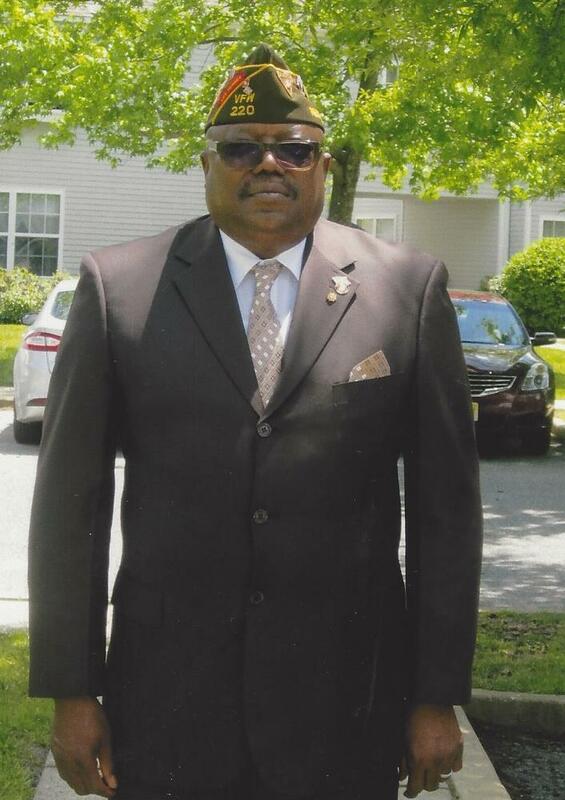 Edmond moved to New Jersey in 1978 and joined St. Paul A.M.E. Church under the pastorate of Rev. Nathaniel Stewart. He was appointed Vice Chairman of the Steward Board, and Superintendent of Church School by Rev. Curtis H. Francis, Sr. Edmond had also joined the Sons of Thunder Male Chorus in 1980 and remained an active member until recently. He retired from Shore Memorial Hospital as Supervisor over Environmental Services. Evangelist White accepted the calling to preach the word of God under the pastorate of Rev. Dr. William L. Cody. He was licensed by the New Jersey Conference of the African Methodist Episcopal Church as an Evangelist on April 2, 2002. His first love was to preach the gospel, followed by his love to teach and sing. Edmond served as a Steward, Sunday School Superintendent, and Adult Teacher. He also served as member of the Pulpit Staff, all at St. Paul A.M.E. Church in Pleasantville under the current pastorate of Rev. Lynda T. Rassmann. Edmond was predeceased by six brothers and six sisters. He is survived by his wife of 21 years, Karen A. McCoy White; two daughters, Rosemary Sally (John) and Gina Jeffrey, both of Walterboro, SC; four step-children, Justina McLean (Donald) of Egg Harbor City, Curtis Jerkins of Houston, TX, George Jerkins, Jr. (Kisha) and Sectoria Jerkins, both of Mays Landing; God-daughter Tammi White (Lamont) of Galloway; nine grandchildren; three great grandchildren; special niece Margie Annette Anderson of New York, NY; and a host of nieces, nephews, cousins, and friends. A funeral service will be held on Tuesday, April 16, 2019 at 11:00am at St. Paul A.M.E. Church, 1203 Harrison Avenue, Pleasantville. A viewing will be held from 9:00am until the time of the service. Interment will follow in the Atlantic County Veterans Cemetery, Estell Manor. We encourage you to share any memorable photos or stories about Edmond. All tributes placed on and purchased through this memorial website will remain on in perpetuity for generations. The entire Town of Sellers, South Carolina sends love and sympathy to the family of Evangelist Edmond White. We remember his smile and jokes. We pray the Peace of God that passes all understanding to encompass you now. Barbara S. Hopkins, Mayor Sharon Miles Brown, Council Wendy L. Pooler, Council Wayne Wilson, Council Bernice F. Fore, Council Submitted by Michele McClellan, former Councilmember. I will miss my Uncle Ed, losing someone we love is nothing easy, we can realize that we are blessed to have been able to share in his life. My Condolences. As I send my condolences and deepest sympathy to Aunt Karen and the rest of my family words can not express how much I already miss you. I was truly not prepared for this day to come but I will always love you and cherish the things you taught me and talked to me about. Thank you for always praying for and with me for whatever I needed. Thank you for all the love and guidance you gave me. I could go on and on about the bond we had but I will save that for when I see you again. I know that you are at peace and rest and your siblings are happy to be with you. Hug and kiss them all for me from your grandniece Dawn Marissa Anderson. P.S. give my Grandmother Lucille a big hug and kiss for me!!!! I send my deepest sympathy to the family of my late Uncle Edmond White. He will truly be missed from visiting his SC family during the summer months.